20€ – Pré-venda / 22€ no Próprio dia. Are you a retailer interested in buying titles from this band? Formed in 1993 by Sanders, bassist / vocalist Chief Spires, and drummer Pete Hammoura, then later augmented in 1996 by second guitarist Dallas Toler-Wade, NILE’s symphonic arrangements unleashed a unique approach to their uncompromising technicality and Middle Eastern-tinged songwriting with their two EPs, Festivals Of Atonement (1995), Ramses Bringer Of War (1997), and their first full-length, 1998’s Amongst The Catacombs Of Nephren-Ka. 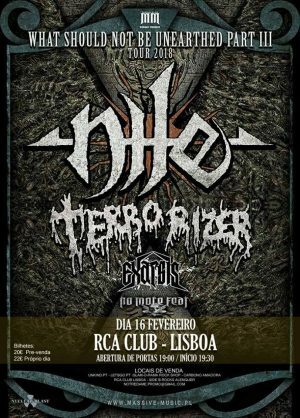 Rightfully earning themselves a world tour with Morbid Angel and a festival debut at Dynamo Open Air in 1999, NILE were quickly gaining an onslaught of new fans that revered them as one of metal’s most devastating new bands. Once home (and with the assistance of drummer Derek Roddy after Hammoura tore his shoulder), Sanders and company began work assembling and arranging the song fragments and ideas that were fermenting while on the road. Every night was spent obsessively researching (the lyrics alone took a year to finalize! ), composing, arranging and re-arranging before entering Soundlab Studios in Columbia, South Carolina with producer/engineer Bob Moore to record the result of their meticulous labor: the masterfully grandiose and cinematic Black Seeds Of Vengeance, Terrorizer Magazine’s coveted “Album Of The Year” for the year 2000. Relentless touring through the U.S. and Europe followed, and it would be two years before the band would return to work with Bob Moore at Soundlab Studios (with new vocalist & bassist Jon Vesano replacing Chief Spires and drummer Tony Laureano replacing Hammoura in tow) on In Their Darkened Shrines, enthusiastically commended by Terrorizer Magazine as “a hair’s breath from perfection” and giving us the live staple “Unas Slayer Of The Gods.” NILE joined road forces with Arch Enemy, Napalm Death, Voivod, Strapping Young Lad, Danzig, Opeth, and Superjoint Ritual, made renowned appearances at Italy’s Gods Of Metal and Fields Of Rock festivals, headlined in Japan for the first time, came back to the States to tour with Kreator and Vader, then returned to Europe for the X-Mass Festival. Again, the band would rest before committing themselves to recording 2005’s Annihilation Of The Wicked with engineer Bob Moore and producer/mixer Neil Kernon (Judas Priest, Nevermore) at Soundlab. Incorporating African choirs and the exotic instrumentations from sitars, tables, tempuras, and kettle drums, the album was summed up best by Guitar World Magazine who branded it “the perfect soundtrack to a blinding, flesh-burning apocalypse.” Showcasing the drum talents of George Kollias, Annihilation validated every accolade heaped upon NILE. Tours with King Diamond, then Hypocrisy & Decapitated followed in the U.S.; with Unleashed, Hate Eternal, and Behemoth and later Incantation and Dying Fetus through Europe; and a festival appearance at Norway’s Hole In The Sky kept NILE on the road for over a year, leaving audiences in awe with their exhaustive work ethic, their tenacity & persistence, and their mind-numbing musicianship. Two years and a new record label later, NILE return in the full glory of all their majestic malevolence. Clean, articulate, studied, and rooted in the algebraic drumming and incendiary blast-beats of George Kollias and the Mach-3 tandem guitar work and double-vocal assault of Sanders & Toler-Wade, Ithyphallic (referring to the ancient practice of portraying statues of gods with huge, mystically-proportioned phalluses as a sign of strength and fertility) continues to advance the scope and magnitude of death metal. A bold statement of ancient ferocity, NILE’s fifth album is resplendent with epic arrangements and savage extremity and is testimony to the band’s extreme range of expression manifested through a variety of tempos & time signatures and their intelligent subject matter, which – when combined – invokes an unmistakable power. Retaining the band’s exceptionally high standard of sound is long-time engineer Bob Moore; Ithyphallic’s sonic clarity comes courtesy of Neil Kernon’s painstaking production. -Lead / Rhythm Guitars : Antonis L.
-Lead / Rhythm Guitars : Kostis F.
The idea of Exarsis was born in 2009 and the permanent line up was completed at July of 2010 in Greece. 2010 – On August they recorded “Demo 2010” which was sold out on live shows. 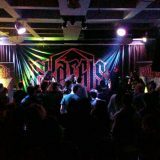 Exarsis kept composing new material and started touring Greece (Athens, Thessaloniki, Korinthos, Kiato, Nafplio, Nemea,) while recording on a home studio their first full length album. 2011 – The “Under Destruction” debut album was recorded and produced exclusively by Exarsis on 2011 and originally released by Athens Thrash Attack and Eat Metal Records. By that time the band opened gigs for Sodom, Rotting Christ,Onslaught etc. 2012 – On summer of 2012 Exarsis started collaborating with Epic Mash management and entered GrindHouse studios for the recordings of their second album “The Brutal State” with George Bokos (Ex-Rotting Christ, ex-Nightfall) as their producer. The album was mixed and mastered by Vasilis Gouvatsos. 2013 – The guitarist Chris Tsitsis left the band to join Suicidal Angels. 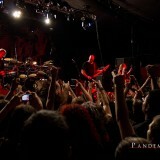 Meanwhile the band get’s signed with MDD Records to release “The Brutal State” at 15 March. After some line up changes and live shows with Anthrax and Suicidal Angels the band toured Europe with Lost Society, Fueled By Fire and Suicidal Angels in 2014 and opened live shows for Sodom and Tankard back in Greece.Now they are available to play on metal festivals or get on tour for the promotion of the album while composing new material for the upcoming third album as always in the Anti-New World Order lyrical theme…. No More Fear is an Italian death metal band formed in 1996. On June 1998 new songs are born, wich will be recorded afterwards, for the first time in studio, giving life to “Shouts of War”, the first demo-tape. No More Fear finally give life to their first official album in 2000, called “Vision of Irrationality”; the album features 9 tracks, produced by “Video Radio” and distributed by “Fonola Dischi”. Really, all this never happened, so the band decides to rescind the contract with the label. Many live shows follow in clubs in all Italy. On April 2004 the band realizes a new work, a split cd with Sin Driven Tide, published by Indelirium Records. The cd contains 4 new songs by No More Fear, wich denotes a musical evolution compared with the previous “Vision of Irrationality”. 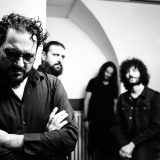 On March 2006, at the ACME Recording Studios in Raiano (AQ) and at The Outer Sound Studios in Rome, the new album’s recording began. On january 2008, No More Fear (with Alkemist Fanatix collaboration ) signed a contract with Lost Sound Records. Thanks to this agreement, on march 2008, their new cd “Ethnoprison” will be in stores. No More Fear’s live activity goes on to support the new album. On March 2011 No More Fear confirmed again ACME Recording Studio for the new album recording sessions and than they “flew” to Fascination Street Studio for mixing and mastering sessions with Jens Bogren. No More Fear signed for Murdered Music/Coroner Records. December 3th 2012 new album “Mad(e) in Italy” is out.